The recent heat that’s swept across the Mid-Atlantic isn’t just making everybody wonder why summer is in such a hurry — it’s also shortened the strawberry season. © 2011 by The York Daily Record/Sunday News. 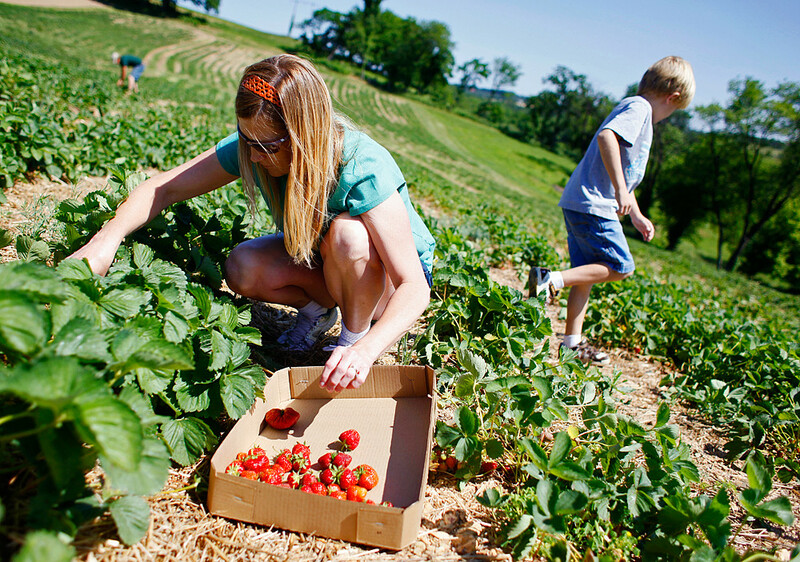 Carol Brown of New Freedom picks strawberries at Brown's Orchards & Farm Market as her youngest son Mitchell, 8, searches for more berries on Thursday, June 2, 2011. The Browns -- no relation to the orchard -- moved from Arizona last week and had not been able to take their children berry-picking until now. The recent hot weather has shortened strawberry season, according to workers at Brown's Orchards & Farm Market in Loganville. Fresh strawberries are available for sale in the market, and the farm's strawberry fields have been open to pickers all week. © 2011 by The York Daily Record/Sunday News. 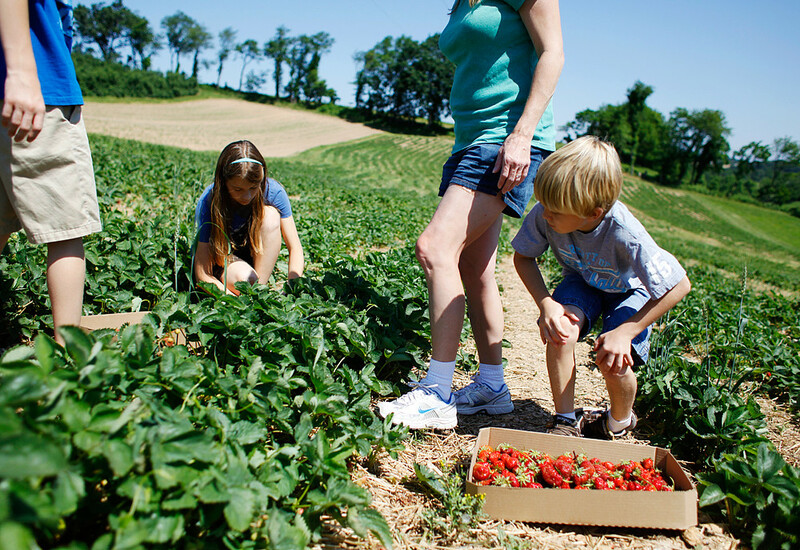 Mitchell Brown, 8, far right, gets to his feet after sampling a strawberry as his older siblings and parents pick berries on Thursday, June 2, 2011, at Brown's Orchards & Farm Market in Loganville. I’ve lately been asking friends and fellow photographers how they would characterize my style or vision or whatever as a photographer. Some have noted a difference in how I shoot/edit for work versus how I shoot/edit for myself. Others have said that I’m not afraid to get close to people — that is, physically close to people, with a wide lens on my camera. I honestly don’t know what my style or vision is. I’m either too young or too inexperienced to know, or maybe I just haven’t cared enough to recognize and cultivate it. Or, maybe my photographic style is that I have no style. Who knows? I don’t. I just like making pictures. I do think, though, that my personal attachment to the second photo does say something about me as a photographer. I’m just not sure what. Nice job dealing with the heat issue in a different way. However the tilt is distracting and I wish you got closer to the strawberries!!!! You’ll figure out your style eventually- don’t push it, it will come naturally.